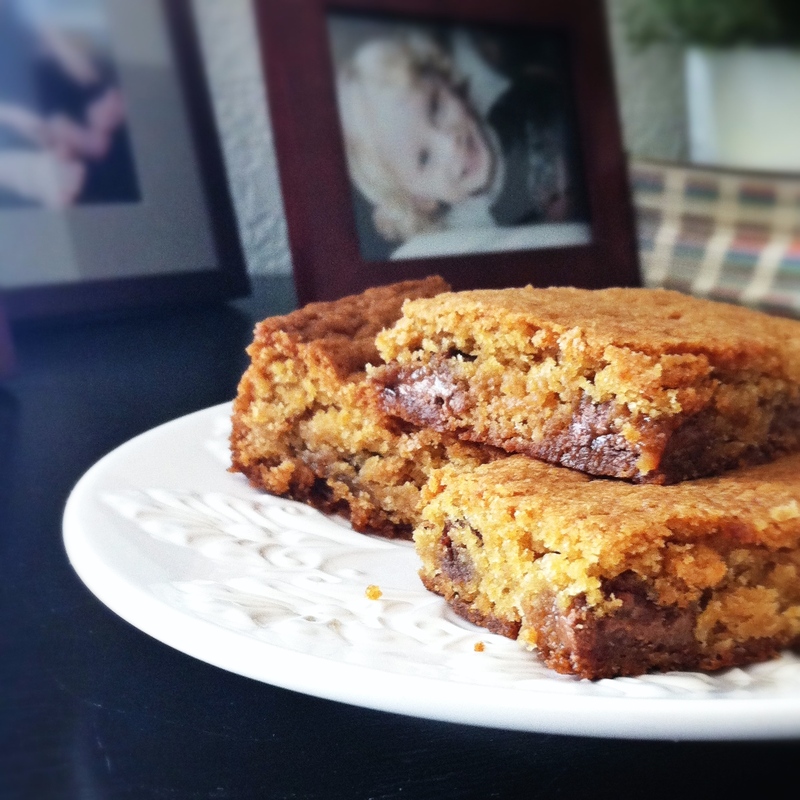 rolo blondies | omfg. so good. 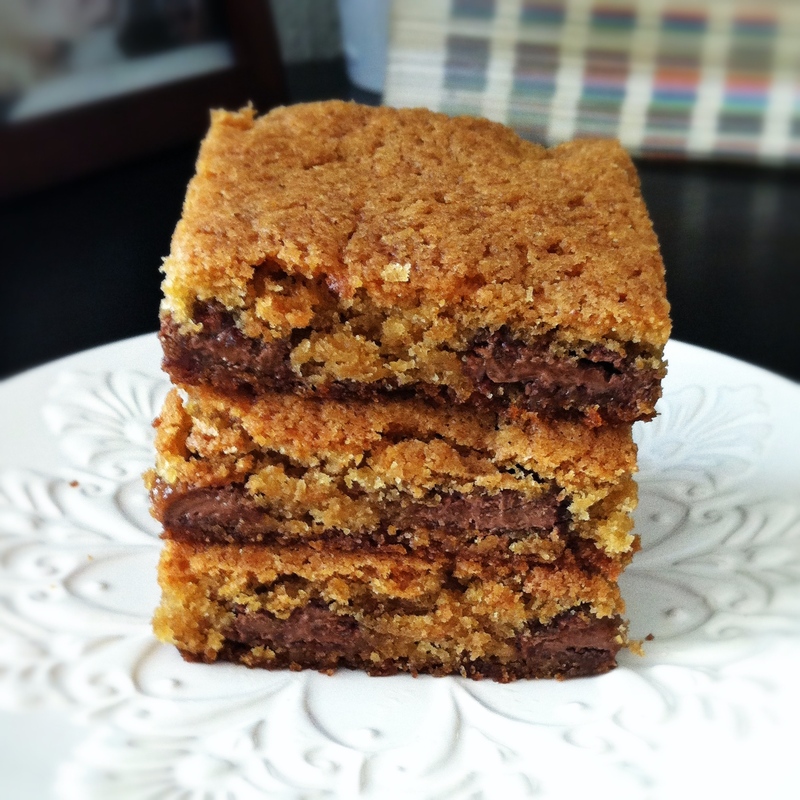 One way, or another… You’re gonna make these. You’re gonna bake them, bake them, bake them, bake them. One day, maybe next week. You’re gonna make them. You’re gonna eat them, eat them, eat them, eat them. Hopefully you got that song reference and laughed. Maybe just a little? I actually made these for Jonny on Father’s Day. It just took me this long to get around to posting the recipe. I know you’ve been waiting anxiously though, so without further delay I bring you…. Preheat oven to 350 degrees. Spray 9 x 13″ pan with cooking spray then line with parchment paper. In a large mixing bowl, whisk melted butter and brown sugar until smooth. Add in egg and vanilla and whisk to combine. 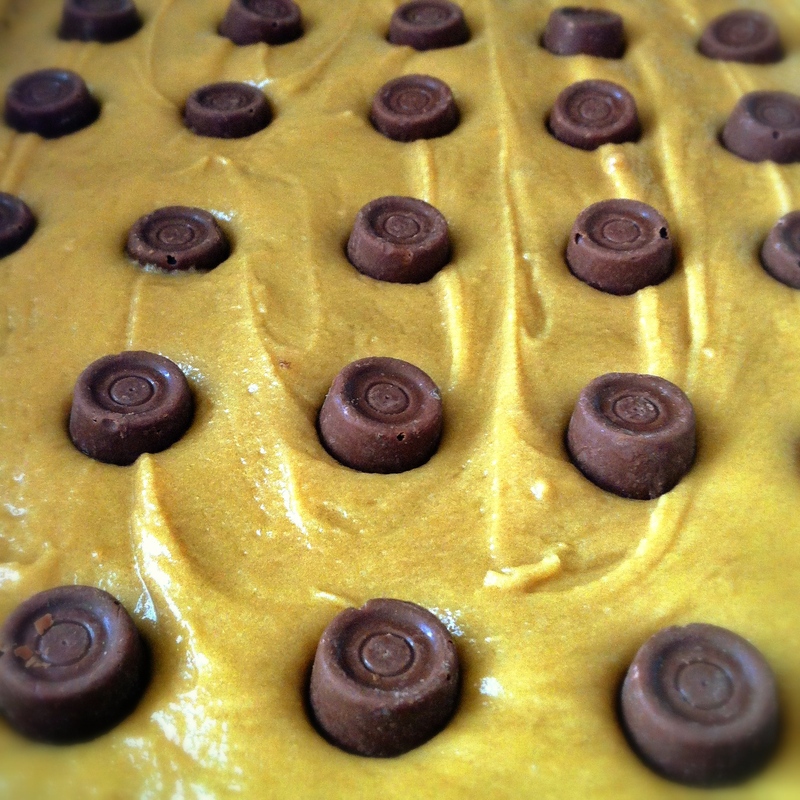 Sift dry ingredients together in a separate mixing bowl then add to brown sugar mixture and whisk to combine. Pour into prepared pan and spread with an offset spatula. 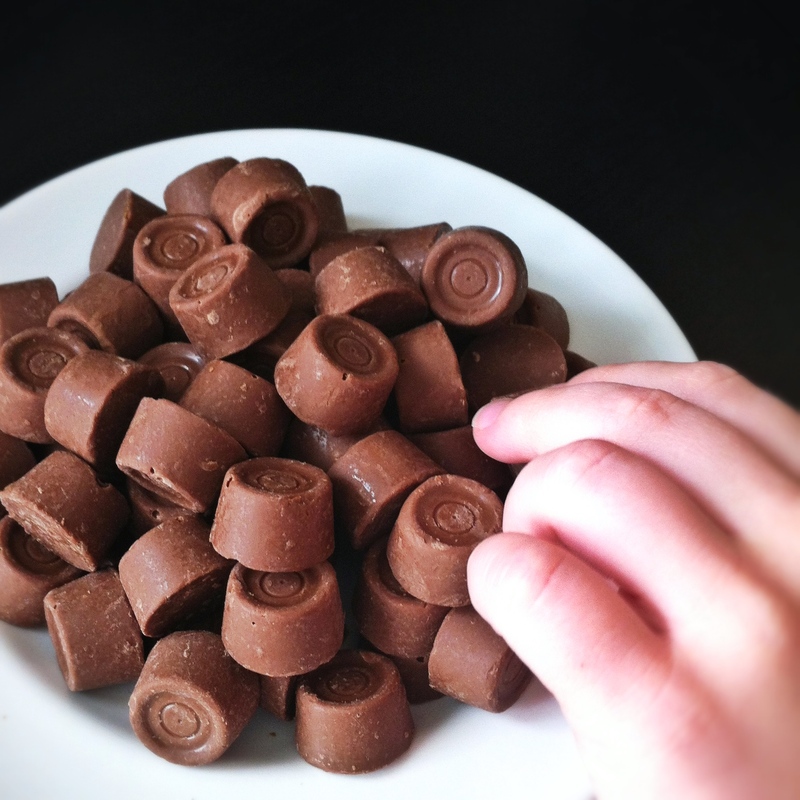 Press Rolo candies into batter in rows.